Hi guys - I’d like a case that I can use to house a pair of Digi boxes, a little mixer, an FX pedal and a tiny controller keyboard (think Roland K-25m). Basically I want to be able to open the case, plug a power strip into the wall, and play, without taking all the gear out and connecting up all the cables. Anyone got any recommendations? I use this for my live setup with 2 dt, 1 DN, analog heat, and db4. It’s pretty deep with 2 layers of pluck foam so I’m able to house a power strip, and all the Digi box adapters on the bottom and on top of that the boxes. I plucked away the foam by long strips so I could use them to level everything. Hope this helps. Oh and it is very cheap as well. So are you planning to carry this on, or check this into the undercarriage of a flight? Great thread - I am looking to do something similar. A friend close to Whistler where I live builds custom cases and I was thinking of having two smaller ones as opposed to one big one. One to hold ‘instruments’ (rytm, digitakt, digitone). One to hold three effects units. There is a synth guru in Edmonton that makes rack mount holders for Elektron boxes - I was going to see if he could help me design the innards. this is exactly what I need too, thanks for the heads up! With its size do you think it would fit two digis and an octatrack mk ii nicely ? Does the lid come off? And are the units already setup and you just plop down the case and plug in to play? Yes the lid Comes off. Yeap. I have a power strip in there and all 4 power supplies of the Digi boxes. Everything is connected as I want. I plug in the power and audio from my mixer to a stage mixer or DJ mixer and I’m good to go. Wow that is amazing looking Dave! I used to own a Rane64 mixer and thought that I would get into playing live more but I am mostly a DJ and switched it up for an S9 as the fader is so much better for scratching. 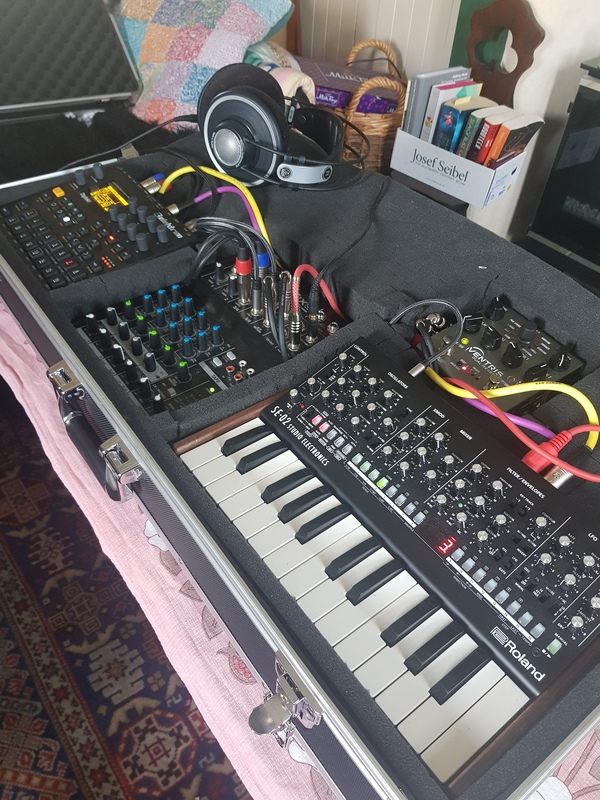 My setup is similar except I have a rytm mk1 instead of a second digitakt. I think I might have to copy you on the case setup though - looks super good and I could fit my delay and reverb pedals in there too. I will for sure check out your youtube channel - a walk through of this case and how you got the cables managed would be awesome. Man that looks awesome, seems like it would work nicely except i cant find one in the states. haha. Quick question for you gorilla lovers. 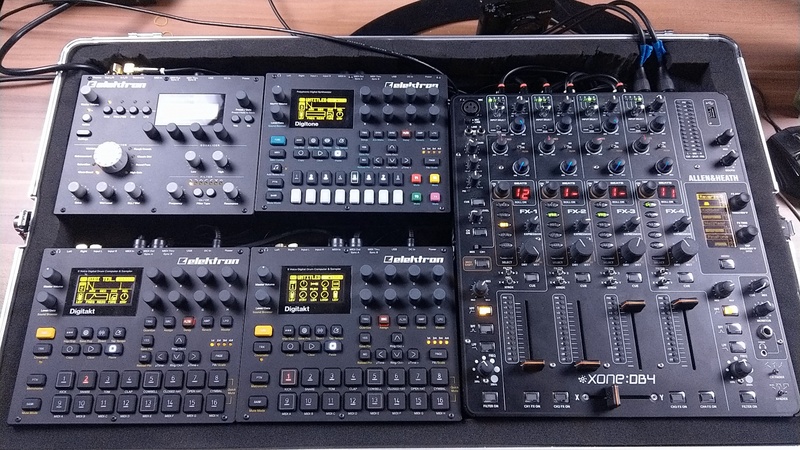 I’m looking at the gorilla gc-ldjc but I want to sit a TR-8 above my Digitakt and Digitone. Theoretically there’s room, but only if I mount the digis deeper than the TR-8, so that it’s sitting above the cables and pretty much flush to the digis. Is the case deep enough to get away with this? it’s pretty deep, there are two layers of foam, so you should be fine. before i bought my case i looked up the dimensions of all the things i planned to put in it, just to be sure. Cheers for that. I’ve done the calculations and the TR-8 fits in above the digis, but that only leaves about 25mm, which is obviously not enough for two lots of cables coming out the backs of the gear. If it’s two layers of foam I can make it work, thanks for letting me know. Got any more info on this guy? I’ve got family there I should really visit more often. ahh flight cases, i love these! i’d appreciate your suggestions for a4mk2 + OT combo. also, i’d love to see your setup photos like in “your setups” thread, but with the cases, should we create a separate topic for this?